Krektones vs E.Normus Trio Tonight (7/7) at the One Stop Bar in Asheville! The Krektones blend the surf swagger of the Ventures with the scorching guitar of Link Wray and just a wee bit of Tav Falco psychobilly to make a beat that’s pretty much impossible to stand still to. The Krektones feature Jason Krekel at lead, Dave Gay on bass, and Lance Wille on drums. These instrumentalists bring a broad range of musical experience, swinging wide from stints with The Parting Gifts, Freakwater, and The Reigning Sound, as well as some seminal Asheville bands, including the Firecracker Jazz Band, Mad Tea Party, The Unholy Trio, and White Heat. Don’t let the sequined tuxedo jackets fool you. 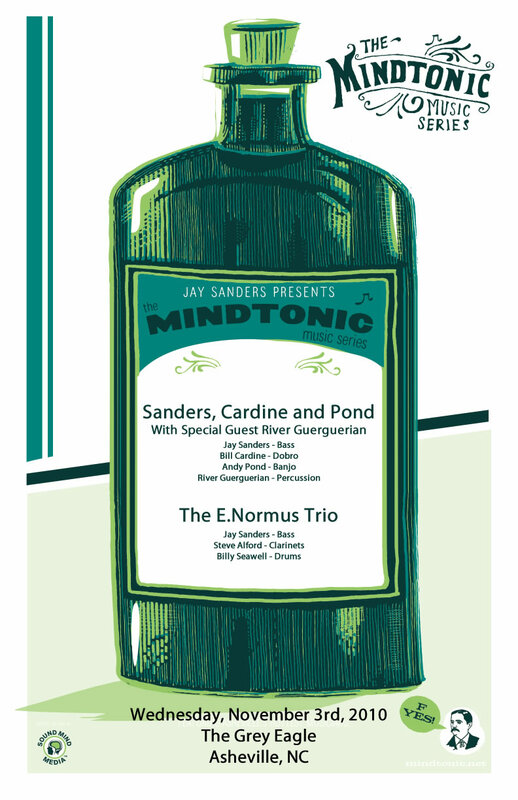 The E.Normus Trio is an adventurous avant-garde instrumental spirit comprised of Jay Sanders on 8-string N/S Stick, Steve Alford on Alto, Bass and Contrabass Clarinet, and Michael W. Davis on Drums. Drawing from the deep well of cataclysmic music, the trio shapes and build sonic landscapes that are equal parts thrilling and soothing. The essence of creativity is emphasized in collective improvisation that traverses the wide musical spectrum and the spirit of music. 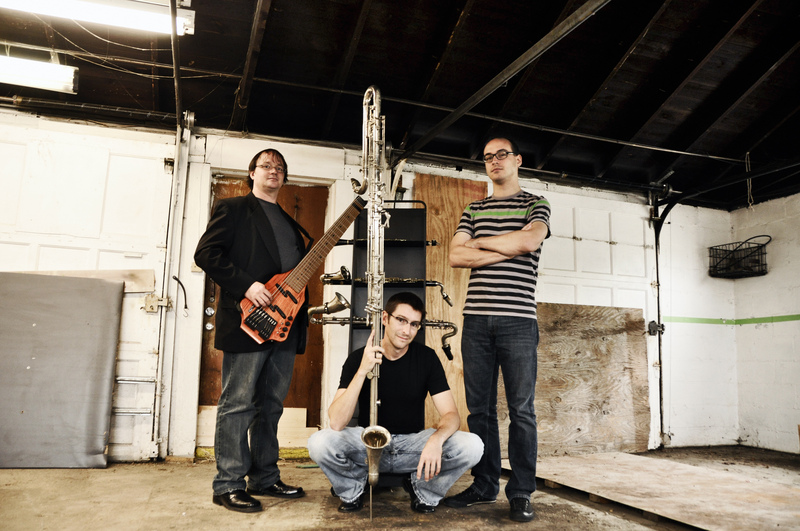 Individually the members of the E.Normus Trio have played with Acoustic Syndicate, Donna The Buffalo, Spork!, The Slithers and The Broadcast. Stop. Listen. Dynamic changes happen simultaneously with nuanced timbre shifts, while the notes, chords, and poly-rhythms travel past you. Extract 17 is not a jam band, or math rock or even a hybrid of anything. They are four musicians of remarkable talent, pushing each other and themselves to make something wonderful. Equal parts Mahavishnu Orchestra, Strength In Numbers and original innovation, Extract 17 plays a palate of original electric instrumental compositions focused on both the spirit of adventure and the beauty of arrangement. 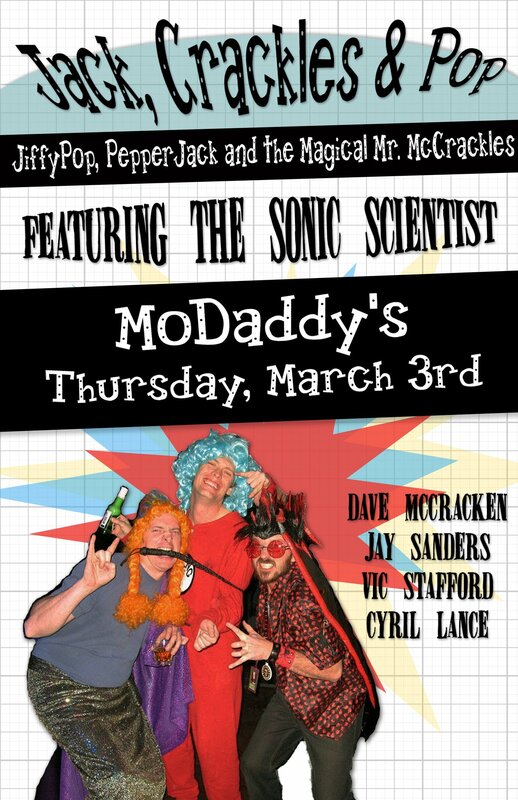 You can see them live for *FREE* every Tuesday in March at Modaddy’s Bar in Asheville. In the past year, the four musicians that comprise Extract 17, Jay Sanders, Bill Cardine, Andy Pond and Ian Cunningham, have been composing, arranging, and experimenting with a variety of provocative new sounds. 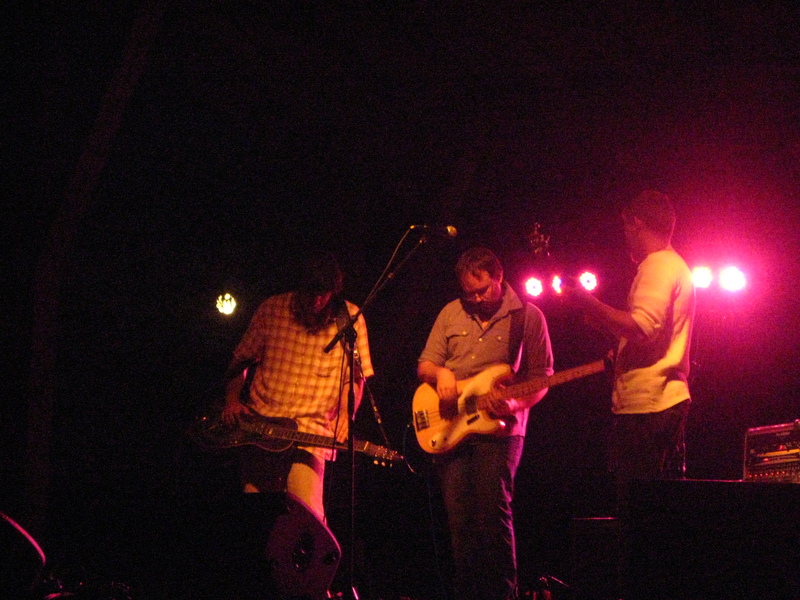 Their repertoire features tunes written by each member of the group and a select list of covers from some of their biggest influences including Bill Frisell, MMW, and Hank Williams. As a bass player, what characterizes Jay Sanders‘ music is an overwhelming sense of space, time and genre. His compositions tend towards the melodic and sublime while improvisations can go from the most peaceful melody to full-scale free jazz and noise music. Attention to style and unique versatility are the hallmarks of his playing. Sanders is best known for his work with Acoustic Syndicate and Donna The Buffalo. Bill Cardine brings his innate sense of musicianship, melody and texture with his muse instrument of choice, the slide guitar. Jerry Douglas has said of Cardine “I couldn’t have picked a better example for them of where the Dobro is now or what the possibilities are with the instrument.” His innovative work on the Dobro, Moog Slide Guitar, Chaturangui, Weissenborn and Electric Steel guitars has lead him as both a performer and educator around the world, as well as to some of our country’s most revered venues and major festivals. Internationally, Cardine is known for his work with the Biscuit Burners; he is also the newest member of Acoustic Syndicate. Andy Pond is one of the most exciting progressive-acoustic banjoists on the scene today: melodic and tasteful with a raw edge of improvisation. His approach to the banjo is all encompassing and includes Middle eastern/Balkan flavours, newgrass and dixieland grooves as well as funky dance beats. For almost two decades, Pond has been the driving force behind the Snake Oil Medicine Show, is half of the Pond Brothers, and the lead of CX1. Ian Cunningham‘s drumming boldly combines the best parts of rock, jazz, African and things completely different and unknown into a powerful beat that is the perfect landscape for Extract 17. Cunningham is a formidable drummer and presence in the Asheville music scene; and as the pulsating foundation for UNC Asheville’s African Dance and Drumming classes, he excels at bridging the worlds of music. 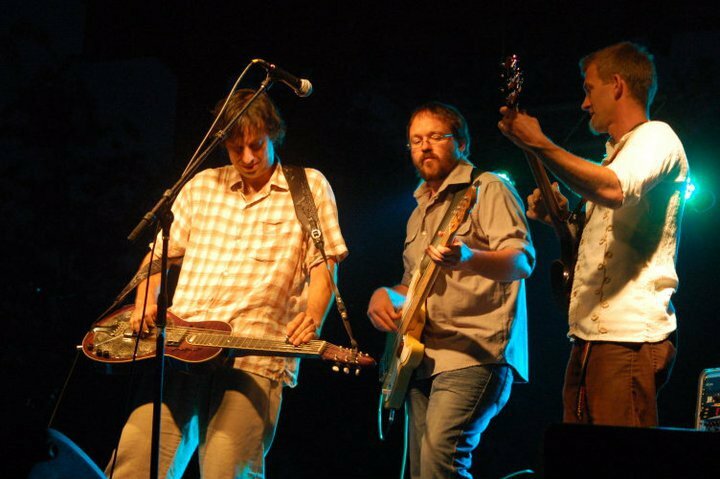 In September of 2010, Sanders, Cardine and Pond performed a series of shows with the legendary Jeff Sipe on drums including memorable performances at the LAAFF Festival, Pisgah Brewing’s beautiful outdoor stage, the Pour House in Charleston, and Asheville’s juke-joint MoDaddy’s. 2011 finds the quartet breaking ground in new directions with the addition of Ian Cunningham on drums. This new lineup will debut as part of MoDaddy’s monthly residency series, playing every Tuesday in March. The shows are all free and begin around 9:30. Enjoy being carried away into a vast soundscape of innovative instrumental music. Watching through the window, it was noticed that the music being created by this unlikely crew was at once soul-shaking and seemingly drenched in history. Upon seeing Asheville native Vic Stafford on Drums and Dave McCracken on keyboards, both currently from Donna The Buffalo, and former DTB and current Acoustic Syndicate bassist Jay Sanders spinning infectious rhythms in culinary fashion, legendary Chapel Hill area guitar slinger and chief Moog engineer Cyril Lance was compelled to join the unlikely ingredients… and a party ensued! 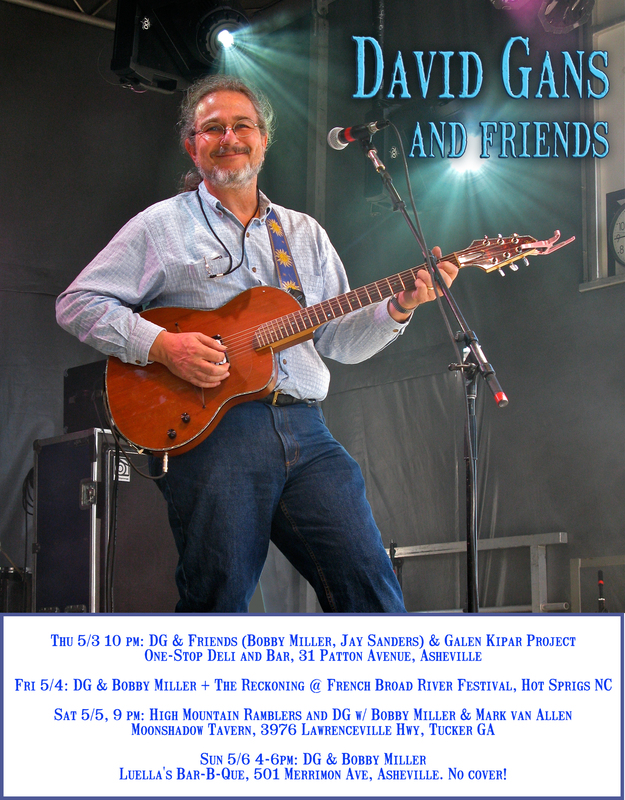 Thanks to Asheville’s Mountain Xpress for their posts here and here in support of the show!